Game uses Spanish half deck (20 cards). 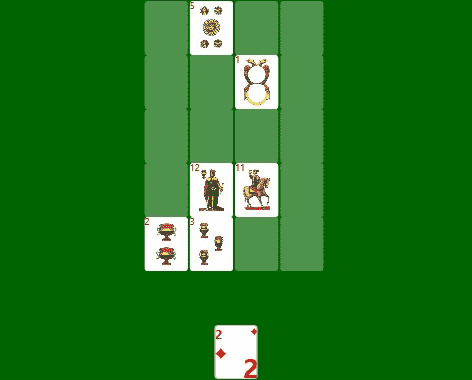 Goal of the game to fill the playing field of cards under the following conditions. 1. Cards are laid out in ascending order, by suit and in suits - in rank. 2. New card can be put adjacent (vertically and horizontally) with the previous card from the correct sequence. 3. No undo. Restart is allowed. This image is a schematic representation, not a screenshot from the game. Screenshots are platform specific. You can see screenshots in the store.